CAN MAPLE SYRUP REDUCE INFLAMMATION? SAN FRANCISCO — The first-ever global symposium, solely dedicated to sharing the latest scientific discoveries on the potential health benefits of 100% pure maple products from Canada, took place on April 2 in San Francisco at the 253rd annual meeting of the American Chemical Society (ACS), the largest scientific society in the world. At the symposium, entitled “Chemistry and Biological Effects of Maple Food Products,” scientists from around the world shared the results of their research that expands the science of maple’s potential impact on several areas affected by chronic inflammation. These include metabolic syndrome, brain health and liver disease, as well as maple’s emerging link to a healthy gut microbiome. The global symposium was organized by Dr. Navindra Seeram, who currently serves as chairman of the Division of Agricultural and Food Chemistry of the American Chemical Society. Dr. Seeram has extensive experience examining the impact of phytonutrients in foods such as berries and pomegranates. In collaboration with the Federation of Quebec Maple Syrup Producers, Dr. Seeram has been studying the unique properties of maple in his laboratory at the University of Rhode Island since 2009. The results of his research stimulated the interest of the global scientific community, which has uncovered additional health benefits of pure maple products. Inflammation is a normal part of a healthy immune response, and is a biological process that helps heal injury and fight infection. When inflammation becomes uncontrolled or chronic, it plays a role in exacerbating a variety of health-related issues. There are several ways to help prevent and combat chronic inflammation. A diet rich in foods that contain polyphenols, such as green tea, red wine, fruits and vegetables – and potentially pure maple syrup from Canada – may be beneficial for supporting a healthy immune system. 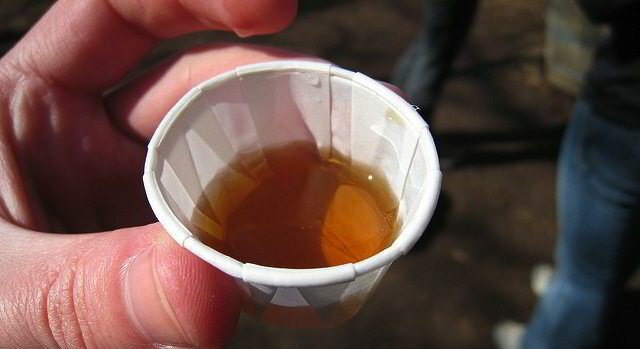 The Federation of Quebec Maple Syrup Producers does not promote an increase of sugar consumption. When choosing a sweetener for moderate use, it appears that 100% pure maple syrup from Canada has more healthful compounds compared to some other sources of sugar.